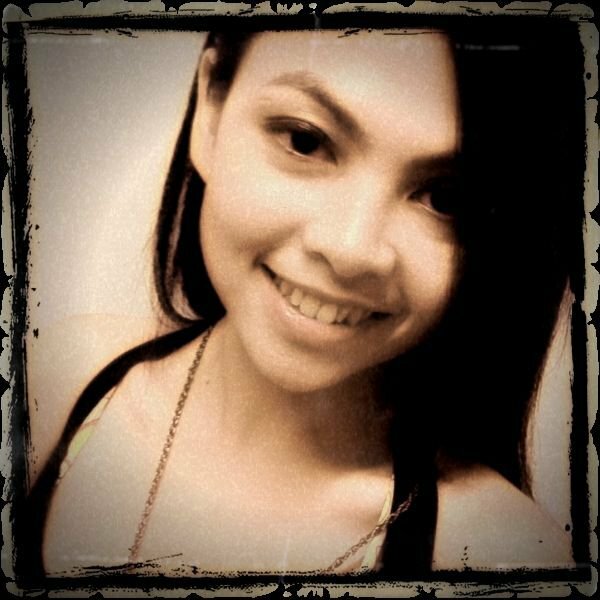 2nd day of my NZ Zespri kiwi challenge. 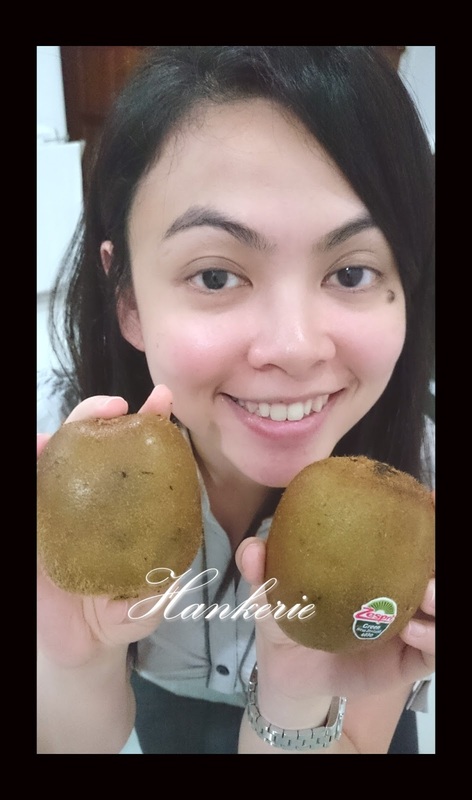 Today's theme is "Perfect picture", Despite taking a selfie with kiwifruits, I also make my perfect picture recipe today - my favorite Choco Kiwi Mousse Cake, topping with fresh green kiwifruits. Tantalizing my sweet tooth. 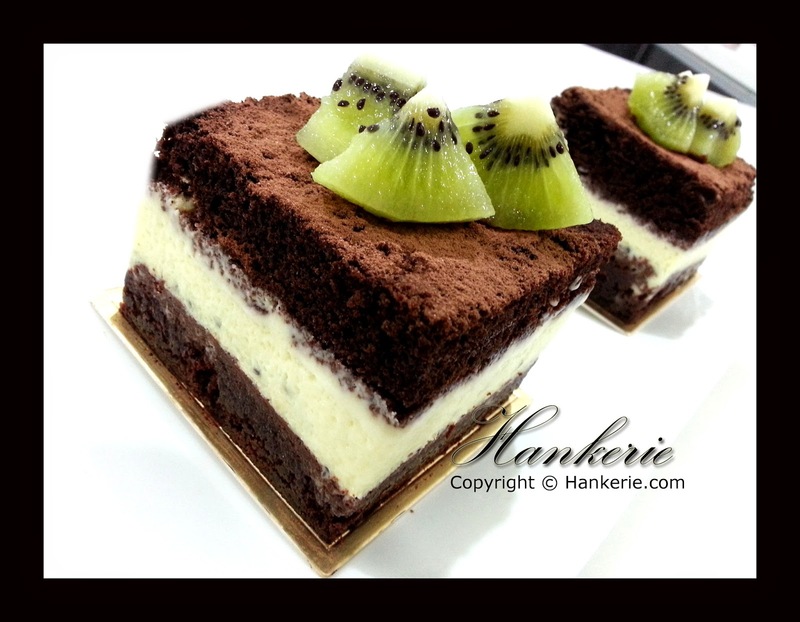 The whole idea of this cake is to combine a little bit bitter sweet chocolate cake with refreshing green kiwifruits. Of course, with yogurt as part of my mousse ingredient, making this dessert lesser guilt. I call it Lite Mousse cake. If you would like the total guilt free mousse cake, you may substitute the whip cream into yogurt and mix with some low fat milk to an extend of 75-15 percentage. 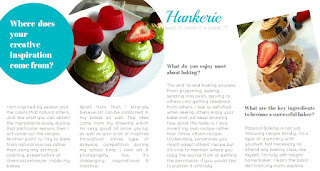 Especially for those weight watcher, enjoy this wonderful dessert. For the sponge cake:- whisk eggs and sugar till thicken, add flour, cocoa powder and baking powder. Follow by vanilla and melted butter. Pour into a flat tray line with greased-proof paper. Bake at 180 C for 20 mins. Trim the cake into square. Set aside. Place the green kiwifruits (dig out the seed first) and lemon juice in a blender and puree until smooth. After that mashed the kiwi fruit seed and mix together with the puree. Gently heat the puree and sugar in a saucepan until the sugar dissolves. Remove from the heat. Squeeze the excess water from the soaked gelatine leaves and add them to the kiwifruit mixture. Stir well until dissolved, then cool. When cold, whisk in the yogurt. Whip the cream until thick and fold into the kiwifruit mixture. 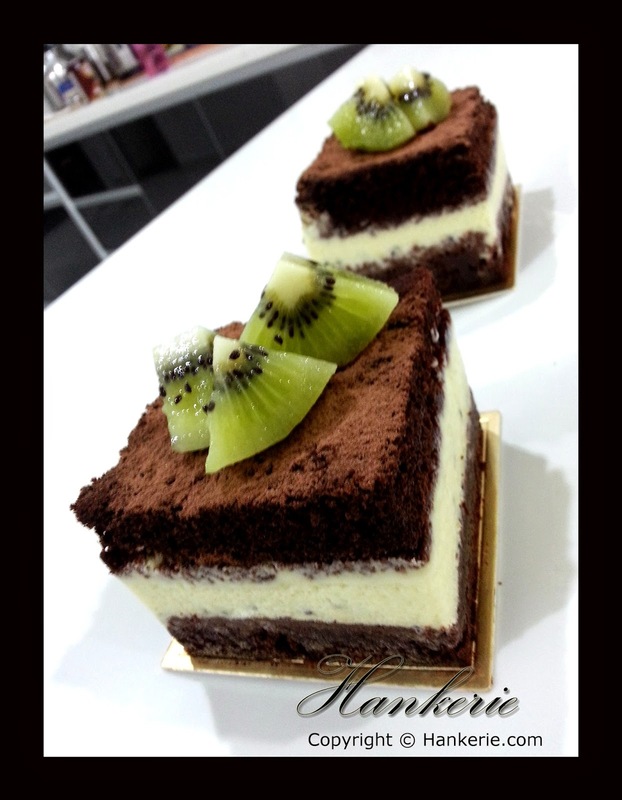 Apply sugar water on the sponge cake which is as the base and fill with kiwi mousse cream. 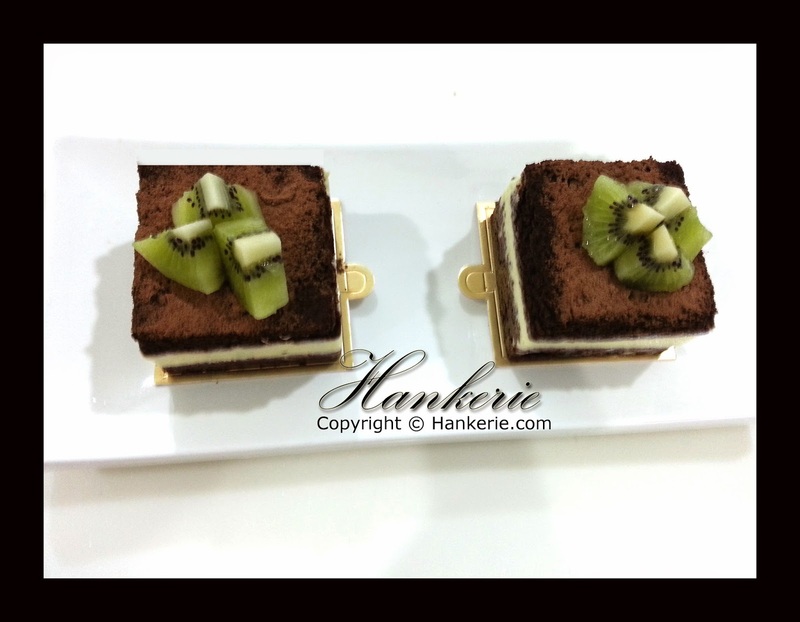 Finish this mousse cake with chocolate sponge cake and decorate with green kiwifruit cubes.